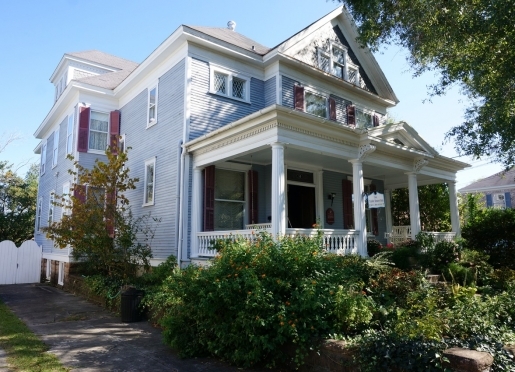 Special deals and packages at Taylor House Inn Bed & Breakfast bed and breakfast inn located in Wilmington, North Carolina. 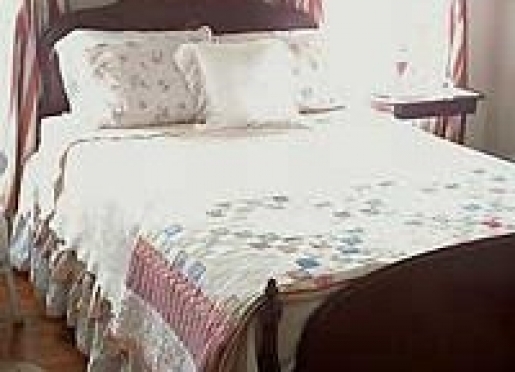 We are offering for those guests that call to make a reservation on the day of their arrival, $10.00 off our regular pricing for a one-night stay. Taxes are additional. Our early morning coffee service delivered just outside your door for the early risers and our full hot seated gourmet breakfasts in the formal dining room by candlelight are included in our pricing. Call today at 910-763-7581 to make your reservations. We are offering a Two-Night Mid-Week Special for those that can get away for any nights from Sunday to Thursday. Book either the room called, Peace, Tranquility or Serenity for a two-night stay and your cost for both nights is only $269.50, taxes being additional. Book either the room called Love or Joy, for a two-night stay, your cost for both nights is $295.99 with taxes being additional. Our rooms have their own private bathrooms. Our pricing does include the early morning coffee service delivered just outside your door and our full hot seated gourmet breakfasts by candlelight in the formal dining room. Call us for a reservation and start packing your bags. Come celebrate your Anniversaries with us and start celebrating!! We are offering a Happy Anniversary Special, whether it be for your wedding or dating anniversary. Come getaway in the room Love or Joy for a two-night stay of $319.99 with taxes being additional. 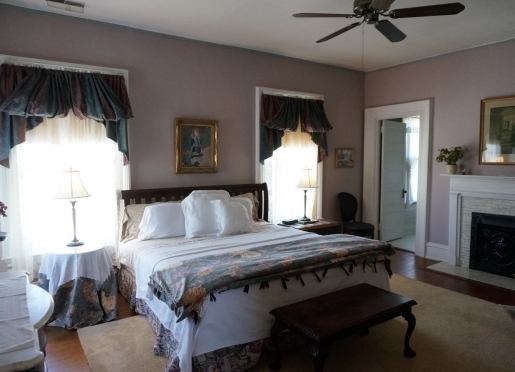 These rooms have King-size beds and private bathrooms with both claw foot soaking tubs and showers. The rooms Peace, Tranquility and Serenity are rooms with Queen-size beds and private modern bathrooms with stall showers. 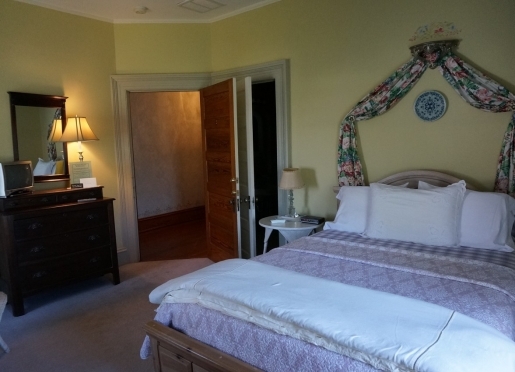 These rooms are $295.99 for a two-night stay, taxes being additional. This special includes; your two-night stay, our early morning coffee service delivered just outside your door, our full hot seated gourmet breakfasts by candlelight in the formal dining room and a chilled bottle of champagne awaiting your arrival. Call today to make your room selection and let the celebrating start! We are happy to give one-night stay rates for those that call and ask for them. Room and rates are based on availability when you call. Our rates include our early morning coffee service delivered just outside your door and our full hot seated gourmet breakfasts in the formal dining room by candlelight. 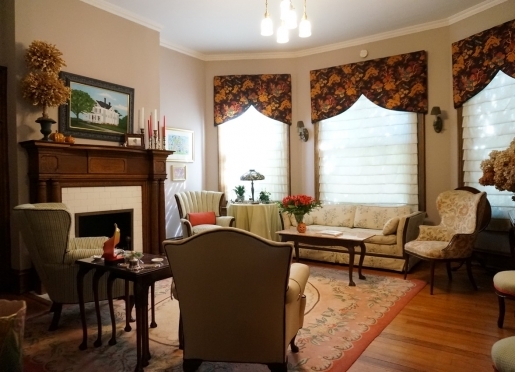 We are a five/ten minute walk to all the downtown attractions; the river walk, the clubs, the art galleries, the cafes and eateries, the historic sites; situated on a quiet one-way brick-paved residential street in the downtown Historic district. Call us today to inquire and make your reservations! 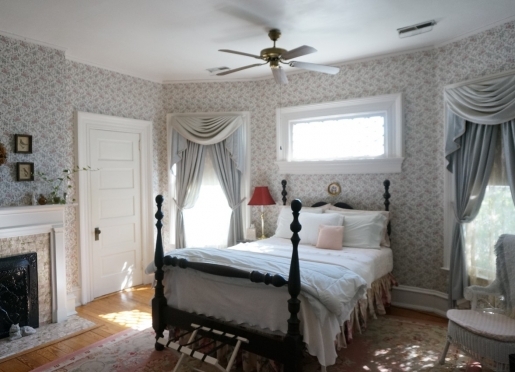 We are offering a Romantic Getaway for those that need to get out of town and come and relax in an old Historic home. Whatever the reason; birthday or anniversary celebration, or just some alone time, we offer you Peace, Tranquility or Serenity at $295.99 for the weekend or Love or Joy at $319.99 for the weekend. This special includes; your room for two nights, complimentary afternoon beverages on the second floor sideboard, a bottle of chilled champagne awaiting your arrival, early morning coffee service delivered just outside your door and a full hot seated gourmet breakfasts in the formal dining room by candlelight. Call today to make your reservations, either weekend or weekday. Chocolates, roses and other delights are also available upon request.